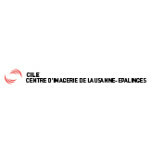 The CILE-Centre d’Imagerie de Lausanne-Epalinges, situated at Biopôle in the welcoming surroundings of the Terrasse building, offers complete and effective radiology services to the inhabitants of Lausanne. Its premises are home to the CRIC, the only private centre of its kind in Switzerland with an MRI equipped for and dedicated exclusively to cardiovascular imaging. The CILE and the CRIC are part of 3R – the Réseau Radiologique Romand (French-speaking Swiss radiology network).